What does a Public Adjuster do? Each state has very specific laws that usually allow you to reopen an insurance claim if you were not fully compensated. Gold Coast Public Adjusters offers a free claim audit. 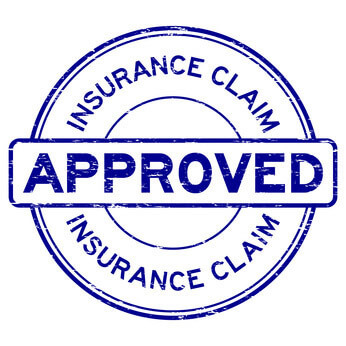 If you were paid by your insurance company for a hurricane, flood, fire, or any other type of property damage and now recognize or believe that the disbursement the insurance company has provided is inefficient or inadequate, you generally have up to five years to reopen the claim. Call Gold Coast Public adjusters about your claim and we can reopen almost any claim up to 5 years after the loss. It is a common process. Even if you received money or were told there was no damage we can inspect your claim for free and then reopen it if we feel you were not paid properly. The insurance company may send engineers and different types of consultants to write reports regarding the damage to your property to try to justify why you were paid only a fraction of the true cost of replacement or repair to your property. Even if your roof was totaled, it doesn’t always mean it was paid properly. It is not uncommon for the insurance company to use lower prices on replacement parts to reduce the settlement you receive. We assure you receive the maximum compensation you deserve. If you are unhappy with the settlement check and you decide to reopen the claim, your insurance company will want you to go to Florida State Sponsored Mediation. However, for most people, Mediation may not be a good idea simply because Mediation is non-binding and, typically, the consumer has no representation. This can place the consumer in the same sort of jeopardy as going to trial without an attorney. Your better alternative is Appraisal, which is binding. If you believe you have a substantial claim to reopen, Appraisal is the door to open. To do this you need to hire an expert in claims evaluation. Gold Coast Public Adjusters is that expert. We are a professional advocate with the knowledge and experience from many years of working with insurance companies. We understand the language in insurance policies. We are experts in estimating construction and building repair damages related to hurricanes, fires, and other covered insurance perils. 1451 W. Cypress Creek Rd. You wouldn’t go to court without an attorney, right? Why would you process a claim without a licensed Public Adjuster? We are near you, here in Fort Lauderdale. Give us a call 754-444-7411 for either Residential and Commercial services. We are a licensed firm in the State of Florida, that provides professional insurance claim representation to homeowners and businesses. Copyright © 2017 Gold Coast Public Adjusters. All Rights Reserved.